Bellator MMA will return to the U.K. on February 9 in 2019. Bellator will return to the U.K. on February 9. 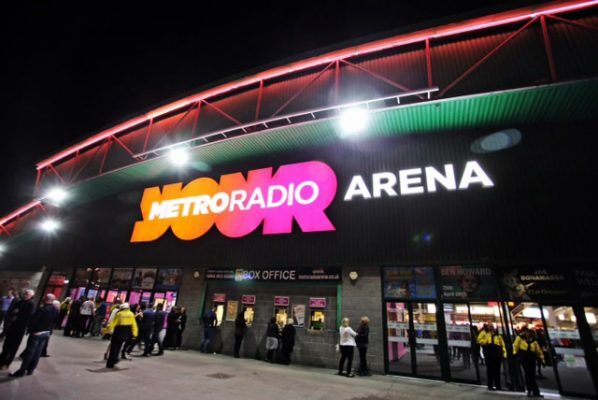 Multiple sources have confirmed that the US based promotion will hold an event at the Metro Radio Arena in Newcastle, England on this date. Cage Warriors Owner Graham Boylan also mentioned the event in a tweet last evening. Bellator were last in Newcastle, England on Dec. 15, 2017 when they hosted a co-promoted show with British promotion BAMMA. The Bellator portion of the card was headlined by a catchweight bout featuring Michael MacDonald and Peter Lieger. The likes of Valerie Letourneau, James Thompson and Phil de Fries also fought on the undercard. The BAMMA fight card was headlined by a BAMMA lightweight title bout with hometown favourite Ryan Scope taking on former UFC fighter Mickael Lebout. On the same evening, Aaron Chalmers recorded the third win of pro MMA career when he defeated Karl Donaldson via TKO in just 43-seconds. Both local favourites Scope and Chalmers are expected to feature on the Feb. 9 fight card. Chalmers took to social media this morning to announce he has signed his bout agreement. According to our sources, the Bellator welterweight tournament opening round fight between Michael “Venom” Page and Paul Daley will not be booked on this event. Nothing is set in stone, but at this point in time the fight looks like it will take place in the U.S, more news will no doubt follow. Bellator head to Genoa, Italy this evening for Bellator 211. A light heavyweight bout between Alessio Sakara (20-12) and Kent Kauppinen (10-4) tops the bill.